The AHCA (the proposed Republican “replacement healthcare plan”) trades people’s lives for tax cuts for the wealthy. 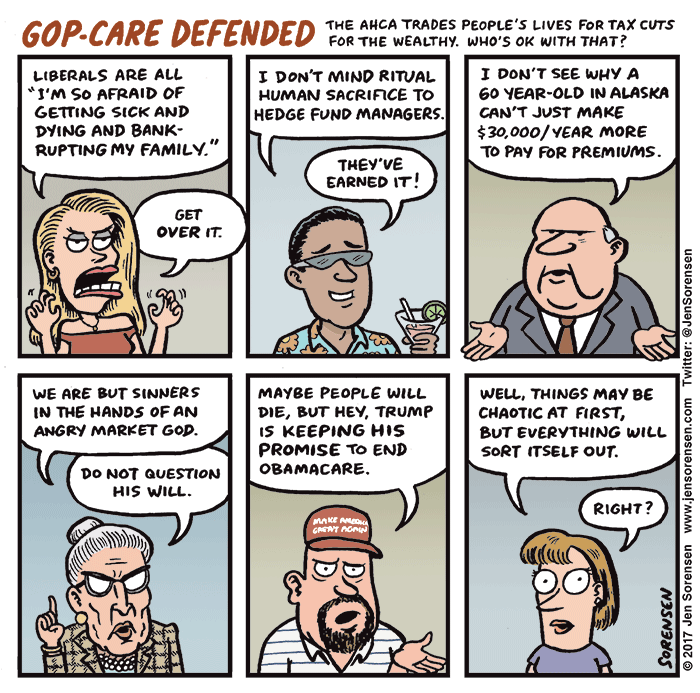 Cartoonist Jen Sorensen wonders who’s okay with that. Seems like twitter save the day again.